It’s not something we celebrate here in the Verman parts of Switzerland but Happy Valentine‘s Day to you as well. Both books sound interesting. I’d never hear if that Wells novel. It’s an entirely new side to me. I’m with you, longer novels often seem to drag. I always associate Wells with speculative fiction so this was quite a surprise for me, but very readable. 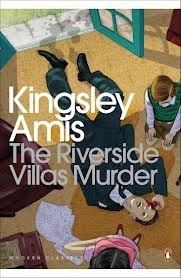 I’m an ardent novella fan – so many great ones have been written and longer novels really need to justify the pages for me now! I don’t think the restaurants are already catering for the event. Not going to find out. Yes, me too. Wells and speculative fiction but that might be unfortunate. One work can overshadow all the others, it seems. How timely! 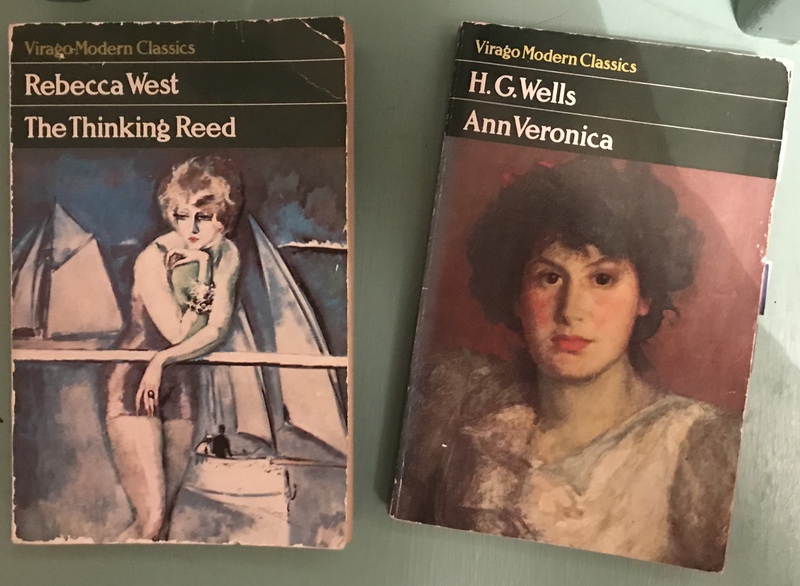 I actually stumbled across an old green Virago copy of The Thinking Reed in a charity shop just the other day. After dithering for a while, I ended up buying it, just on a whim. Baggy can be okay every now and again, as long as the characters are engaging. Ann Veronica sounds wonderful, and would be a style of Wells’ I haven’t come across before. I will have to go and find this one and add it to my pile. I hope you enjoy it! It was a surprise for me, but I thought it was really well written and very readable. But seriously, what an interesting couple to choose! HG is not the obvious choice of heartthrob, but it just goes to show that it’s often the intellect that appeals to women (certainly does in my case most often). I love West and I love Wells’s sci fi books so I’m loving your post too. I could recommend the latter – they’re sci fi in their trappings but very much about how human beings behave. They’re such an interesting couple aren’t they? They must have been quite formidable together. I’m definitely going to try Wells’ sci-fi now I enjoyed his writing in Ann veronica so much, and especially as you say they’re about human behaviour as much as anything. I had similar feelings about ‘Sunflower’ – a book that drawn heavily on the end of Rebecca West’s relationship with H G Wells and the beginning of her relationship with Lord Beaverbook. The writing and the characterisation were glorious, but it didn’t need to be anything as like as long as it was. That’s really interesting Jane. As I mentioned, I wondered if it was a device to convey some of the tedium felt by Isabelle, but from what you’ve said, probably not. I wish editors would be more ruthless! What an excellent pairing. Both of these sound fascinating in the insights they offer into contemporaneous ideas about gender and, of course, relationships. My fifteen-year-old self believed that Valentine’s Day was a capitalist construct and at least in that respect, I haven’t changed! They really were interesting to read alongside each other, and definitely a lot to say about gender and women’s roles in particular – sadly, not all of it has dated. Phew! I am happily at home in your blog again – intelligent and thoughtful book reviews without spoilers, accompanied by amusing gifs and pretty men singing in ridiculous costumes! I have read a couple of books by H G Wells, and I ‘m not a huge fan but I do like Rebecca West. I haven’t read The Thinking Reed yet, it sounds excellent, in fact have only read about four of her novels but do have some others tbr. I’ve never read HG Wells before as he’s never really appealed, but I bought this as it was a green Virago and I’m glad I did. I hope you like The Thinking Reed, Ali. I’ve still got The Birds Fall Down buried in the TBR somewhere – hopefully I’ll get to it soon! Ha! My mother lived through second wave feminism and she always said men found a way to make it work for them more than for women… I still live in hope we’ll get there eventually! What a brilliant idea for a post. Both books sound really interesting, and I had a chuckle at your comment about novels over 200 pages being too long. How marvellous to be able to re-live the Prince Charming fantasy. I had forgotten that it featured the lovely Diana Dors. Great choice! why wouldn’t she indeed – go girl! I do hope their son had the double-barrelled name of Wells-West! Double-double-U! I also hope he didn’t grow up feeling the pressure to be a genetically awesome writer, as I’m pretty sure school teachers would have had high expectations. He missed the opportunity and just went with West, unfortunately – what an error! ‘Her competent and steely mind never rested…’ God, Madame Bibi wish I could say the same. That video – pure bliss. I love the bit where the black toy cat is casually tossed to one side, pure evil panto. Great book reviews as well, of course.